Custom Divers are proud to announce the launch of our “Next Generation” lighting systems utilising a new lamp and ballast plus the capability of switching the light output from 10 watts to 14 watts. We are offering three new systems NGS 1.8 handheld, NGS 3.8 umbilical and the NGS 7.5 umbilical. These new systems have many other features; a more robust lamp design offers a thicker arc tube providing additional strength and shock resistance. The reflector advances have been improved to give enhanced spot uniformity and consistency. The ballast now has a higher efficiency (approx. +20%). Other benefits include lumens per watt efficiency +73% and an output capability of 1000+ lumens with a brighter and more consistent spot quality with premium natural daylight appearance colour equalling 6900°K. The Custom Divers NGS range utilises the latest 12 volt rechargeable battery technology contained within a precision machined aluminium housing which incorporates an automatic pressure relief valve to guard against over pressurisation. The charge point is situated at the base of the housing and is accessed via a threaded cap which allows for recharging without the need to remove batteries. 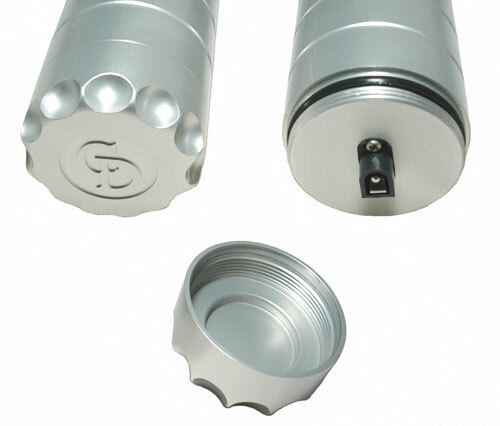 The light heads are manufactured from high grade aluminium and are anodised steel silver. The systems are operated by a three way on/off/on switch situated on the light head. There is a inter-connecting power cable to fixed connectors to the battery housing and each system comes complete with 110/240V charger. All systems are tested in our compression chambers to a depth of 150 metres. In addition to the systems shown, other “custom” configurations are available, such as twin head units and optional battery packs for longer burn times. 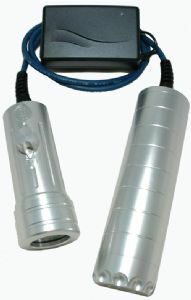 Light heads can also be purchased separately to upgrade existing systems. Light shaping diffuser lenses are available, ideal for video work, removing any ‘hot spot’ and guaranteeing a strong, even 'flood’. If you require any more information on these products please do not hesitate to contact our technical department who are always happy to assist and advise. * 6,900 K COLOR TEMPERATURE. 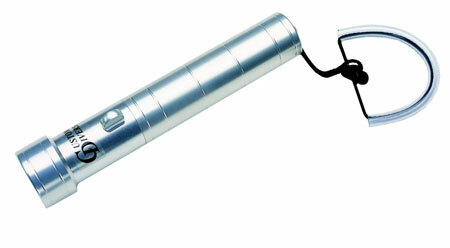 * 6 0R 13 deg LAMP BEAM OPTION. * POWER DELIVERY USER SELECTABLE BETWEEN 10 OR 14 WATTS. 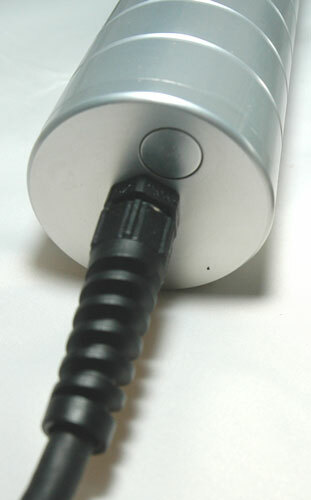 * 12V RECHARGEABLE NMH BATTERY. Light Body: High Grade Aluminium. Battery Housing: High Grade Aluminium.